New Cystoblastosis`s shirts are ready! Continue reading New Cystoblastosis`s shirts are ready! First look at Cystgurgle / Cystoblastosis split tape! Continue reading First look at Cystgurgle / Cystoblastosis split tape! Split Cystoblastosis / Back Alley Lobotomy is finally out! More info at Alternative Record Label (Germany) Continue reading Split Cystoblastosis / Back Alley Lobotomy is finally out! Continue reading New shirts from Cystoblastosis! Out now at Grindfather productions! Six Brew Bantha – Blight Tolerance/Cystoblastosis split tape Blood – Christbait Impetigo/Blood split tape Netjajev Society System – “Thule Tachyon Tantra” Avon Dealer – Scifantanimangamythologist You can buy these beauties at www.grindfatherprod.com Continue reading Out now at Grindfather productions! Continue reading Gory news from AxRxLx!!! Continue reading Gorenoise Against Humanity gig! Out soon at Grindfather prod! Tolerance / Cystoblastosis Gruesome Stuff Relish – Cannibalized! More info at www.grindfatherprod.com Continue reading Out soon at Grindfather prod! First look at Cystoblastosis / Hypertrophy split! Continue reading First look at Cystoblastosis / Hypertrophy split! Split Amoebosis / Cystoblastosis is out now at No Bread records! contact: nobread@mail.ru Continue reading Split Amoebosis / Cystoblastosis is out now at No Bread records! split Cystoblastosis \ Amoebosis is out! Shoot all your questions to cystoblastosis@gmail.com Continue reading split Cystoblastosis \ Amoebosis is out! Cystoblastosis is preparing new shirts for you! Continue reading Cystoblastosis is preparing new shirts for you! Here is a first look on Cystoblastosis & Amoebosis split. Continue reading Here is a first look on Cystoblastosis & Amoebosis split. More info soon… Continue reading split Amoebosis / Cystoblastosis! Good news from Thoracopagus Rec! Continue reading Good news from Thoracopagus Rec! Noisecore & goregrind news from No Bread records! Sedem Minut Strachu / De Blenders – split 10″ Malad / Deche-Charge – split 7″ Cystoblastosis – Post – Mortem Examination Of Putrid Corpse CD All this stuff you can order HERE! 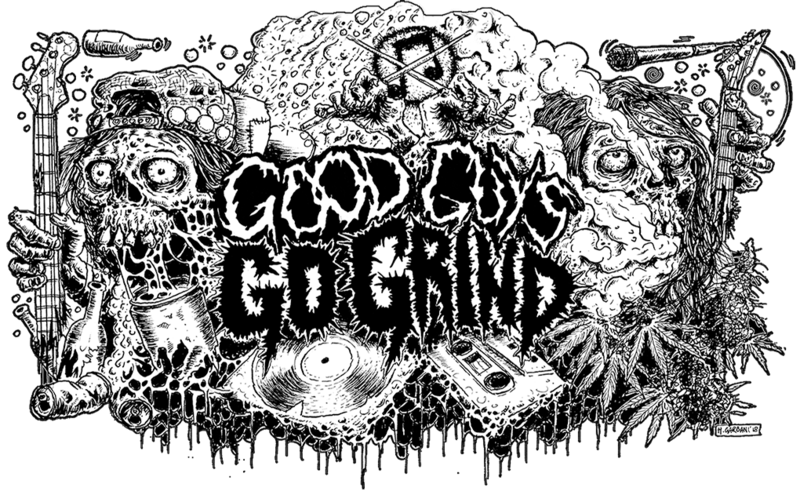 Continue reading Noisecore & goregrind news from No Bread records! Continue reading News from Thoracopagus Rec! Split Cystoblastosis/Take That Vile Fiend/Nasty Face/Regular Sized Rudy will be out very soon! You can listen this split HERE! Continue reading Split Cystoblastosis/Take That Vile Fiend/Nasty Face/Regular Sized Rudy will be out very soon! Shoot your orders to Old Grindered Days Records! Continue reading Debut CD from Cystoblastosis! Some good news from Thoracopagus Rec! Continue reading Some good news from Thoracopagus Rec! Continue reading Haggus and Cystoblastosis split! Split Cystoblastosis, Meatus, Oesophage is ready! This nasty split released by Mongolith Records! For order and other questions write to killdozer80@gmail.com Continue reading Split Cystoblastosis, Meatus, Oesophage is ready!